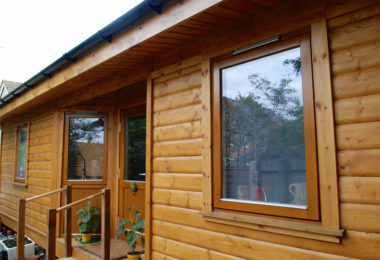 Sited in the Wiltshire garden of Mel’s Mum, their neat annex contains a modern, open-plan kitchen and living area, spacious bedroom and bathroom. 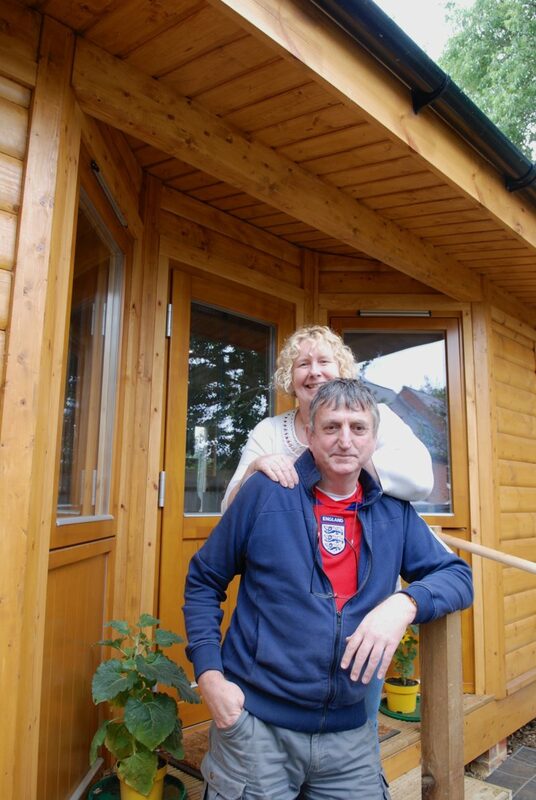 “It’s freed up so much, and we’re now able to continue saving but also enjoy life,” he says. When Paul and Mel decided they wanted to set up home together, they thought long and hard about how, and where, they were going to afford a property. “We’d always liked the idea of a log cabin and then Mum said, ‘Why don’t you have a log cabin built in the garden where the garage used to be’,” explains Mel. 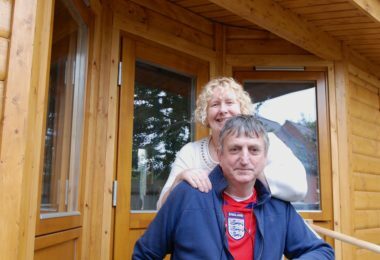 As the 9m x 4.5m building is transportable and sited within a relative’s garden, Norwegian Log was able to gain a Certificate of Lawful Use for Mel and Paul, meaning planning permission for their new home was not needed. Once ground work was completed, construction took just six weeks. Being within easy reach of family has already had its benefits. “We are here for Mum and Dad. They are still self-sufficient, but we are on hand to help, like going with them to take their dog to the vets. On my days off, it’s also really easy to go shopping with Mum,” explains Mel.